Did Hedge Funds Drop The Ball On SS&C Technologies Holdings, Inc. (SSNC) ? At Insider Monkey we track the activity of some of the best-performing hedge funds like Appaloosa Management, Baupost, and Tiger Global because we determined that some of the stocks that they are collectively bullish on can help us generate returns above the broader indices. Out of thousands of stocks that hedge funds invest in, small-caps can provide the best returns over the long term due to the fact that these companies are less efficiently priced and are usually under the radars of mass-media, analysts and dumb money. This is why we follow the smart money moves in the small-cap space. SS&C Technologies Holdings, Inc. (NASDAQ:SSNC) investors should pay attention to a decrease in enthusiasm from smart money recently. 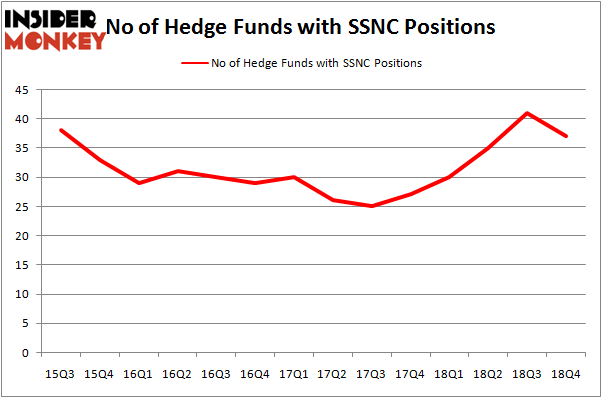 Our calculations also showed that SSNC isn’t among the 30 most popular stocks among hedge funds. In the eyes of most market participants, hedge funds are assumed to be underperforming, outdated financial vehicles of years past. While there are greater than 8000 funds in operation today, Our researchers look at the moguls of this group, approximately 750 funds. It is estimated that this group of investors control the lion’s share of the hedge fund industry’s total capital, and by observing their highest performing investments, Insider Monkey has unearthed a few investment strategies that have historically defeated the S&P 500 index. Insider Monkey’s flagship hedge fund strategy outpaced the S&P 500 index by nearly 5 percentage points per year since its inception in May 2014 through early November 2018. We were able to generate large returns even by identifying short candidates. Our portfolio of short stocks lost 27.5% since February 2017 (through March 12th) even though the market was up nearly 25% during the same period. We just shared a list of 6 short targets in our latest quarterly update and they are already down an average of 6% in less than a month. We’re going to check out the recent hedge fund action encompassing SS&C Technologies Holdings, Inc. (NASDAQ:SSNC). How are hedge funds trading SS&C Technologies Holdings, Inc. (NASDAQ:SSNC)? At the end of the fourth quarter, a total of 37 of the hedge funds tracked by Insider Monkey were bullish on this stock, a change of -10% from one quarter earlier. Below, you can check out the change in hedge fund sentiment towards SSNC over the last 14 quarters. So, let’s examine which hedge funds were among the top holders of the stock and which hedge funds were making big moves. The largest stake in SS&C Technologies Holdings, Inc. (NASDAQ:SSNC) was held by Alkeon Capital Management, which reported holding $213.1 million worth of stock at the end of September. It was followed by Select Equity Group with a $191.1 million position. Other investors bullish on the company included Cantillon Capital Management, Southpoint Capital Advisors, and Palestra Capital Management. Since SS&C Technologies Holdings, Inc. (NASDAQ:SSNC) has witnessed bearish sentiment from the aggregate hedge fund industry, it’s safe to say that there is a sect of hedgies that decided to sell off their positions entirely by the end of the third quarter. It’s worth mentioning that Brad Dunkley and Blair Levinsky’s Waratah Capital Advisors dropped the biggest stake of all the hedgies followed by Insider Monkey, valued at an estimated $25.8 million in stock. Peter Seuss’s fund, Prana Capital Management, also sold off its stock, about $21.5 million worth. These moves are important to note, as aggregate hedge fund interest dropped by 4 funds by the end of the third quarter. Let’s now take a look at hedge fund activity in other stocks – not necessarily in the same industry as SS&C Technologies Holdings, Inc. (NASDAQ:SSNC) but similarly valued. These stocks are The Mosaic Company (NYSE:MOS), Broadridge Financial Solutions, Inc. (NYSE:BR), Equifax Inc. (NYSE:EFX), and Copart, Inc. (NASDAQ:CPRT). This group of stocks’ market valuations resemble SSNC’s market valuation. As you can see these stocks had an average of 27.25 hedge funds with bullish positions and the average amount invested in these stocks was $578 million. That figure was $1401 million in SSNC’s case. The Mosaic Company (NYSE:MOS) is the most popular stock in this table. On the other hand Broadridge Financial Solutions, Inc. (NYSE:BR) is the least popular one with only 22 bullish hedge fund positions. SS&C Technologies Holdings, Inc. (NASDAQ:SSNC) is not the most popular stock in this group but hedge fund interest is still above average. This is a slightly positive signal but we’d rather spend our time researching stocks that hedge funds are piling on. Our calculations showed that top 15 most popular stocks among hedge funds returned 19.7% through March 15th and outperformed the S&P 500 ETF (SPY) by 6.6 percentage points. A handful of hedge funds were also right about betting on SSNC as the stock returned 38.1% and outperformed the market as well. You can see the entire list of these shrewd hedge funds here. 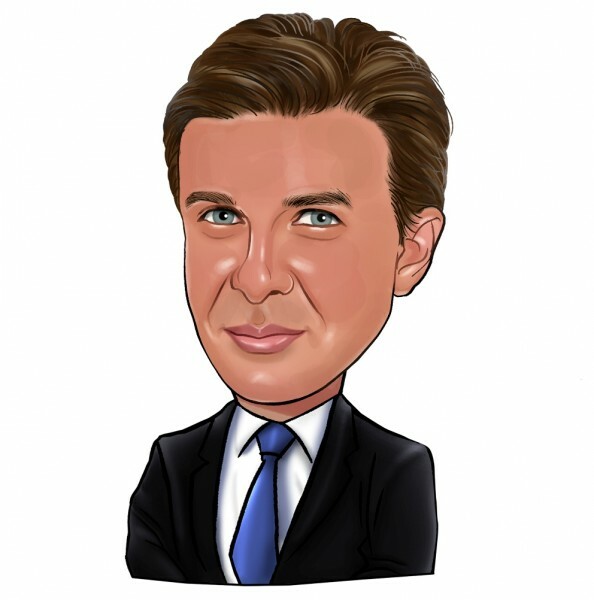 Here is What Hedge Funds Think About Flocking Into ZTO Express (ZTO) Activist Keith Meister Says This Year’s Market Rally and Last December’... Is Liberty Broadband Corp (LBRDA) A Good Stock To Buy? Here’s What Hedge Funds Think About Principal Financial Group Inc (PFG... Is Vulcan Materials Company (VMC) A Bargain According To Hedge Funds? Is CNH Industrial NV (CNHI) A Good Stock To Buy?